Julie's love for drawing started at an early age and has driven her through her journey in the arts. 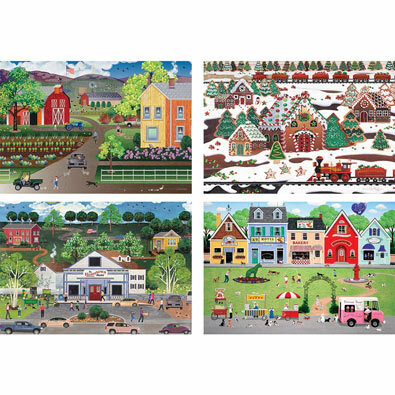 Her American Folk Art style is inspired by American life over the past seventy-five years. She emphasizes a family's daily life, patriotic events and holidays in her paintings. Each 500 piece puzzle measures 19" x 13". This 500 piece jigsaw puzzle is designed by Julie Pace Hoff and measures 19" x 13".